primary care focused on you. Preventive care focuses on detecting problems early and keeping you well year-round, so that you spend less time and money at the doctor’s office or hospital and feel good about your health. We diagnose and treat patients who have chronic illnesses. Some of the chronic conditions we manage include hypertension, congestive heart failure, diabetes mellitus, and high cholesterol. Illnesses and injuries that go away quickly are called acute. Examples of acute conditions include colds, flu, sore throat, minor fractures, and pulled muscles. We treat both acute and chronic conditions. We take care of patients of all age ranges, starting at 2 years of age. Your initial evaluation will likely last approximately 45 minutes. Please call our office with any questions you may have regarding your well being. 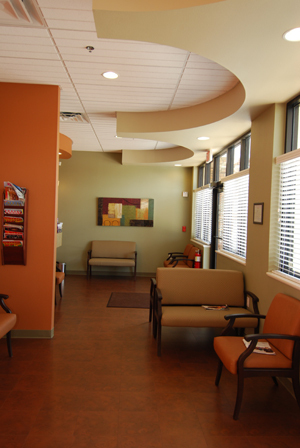 We offer same day appointments for acute conditions/emergencies. "Our first time appointments this morning were a great experience. We both have ‘white coat syndrome’ and get anxious at medical offices, but starting from the front desk person we were put at ease. The doc even sings around the office --we may have just found our new PC practice."